This morning I heard a talk on how God is really Spirit and that depicting him as Father is somewhat misguided. I was amused (and a little disturbed) at this attempt to elevate one of the archetypal manifestations of the divine over another even if it was somewhat softened by the speakers attempt to say this was only his opinion borne out of his experience. History tells us that it is hard to elevate one archetype over the others without doing damage to other people’s spiritual lives; however history also tells us that it has happened many a time. One of the first recorded attempts at imposing monotheism was by the Pharoah Atkenaten (circa 1350 B.C.E.). 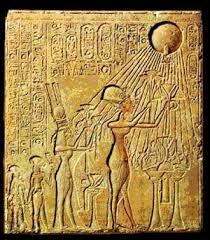 Atkenaten gradually sought to replace the well-established polytheism of the ancient Egyptians with devotion to the sun-god, Aten (strongly identified with Ra). Typically this began more subtlety with devotion to Aten encouraged above the worship of the other gods; but eventually, as often happens, in order to show his zeal towards Aten, Atkenaten disbanded the priesthood of other gods and built massive temples to the sun-god. It was only reversed after his death. If this has some echoes of familiarity it is probably because a similar process was happening in ancient Judaism around the same time. Worship of the mother goddess, Asherah, whom archeological evidence points to as originally being Yahweh’s consort was suppressed. People are often surprised to realise that the Hebrew scriptures contain over forty references to the Goddesss Asherah, often in the form of Asherah poles around which she was worshiped, documenting the suppression of her worship which was clearly persistent through hundreds of years in Israel, probably up to the time of the exile. Jeremiah 17:2 Even their children remember their altars and Asherah poles beside the spreading trees and on the high hills. This is a process I call “monotheism by exclusion” whereby the worship of one archetype is intensified by the repression of the worship of other gods. On the psychological level we can understand this tendency as we are sometimes gripped by one archetype to the exclusion of others. One young person, gripped by the warrior archetype will eschew the archetypes of compassion while another rejecting the violence of the warrior will embrace pacifism and the archetype of the “compassionate one”. The other archetypes are placed (in the words of Jung) into “our shadows” and there often denounced and neglected. It is often not until later in life that we discover the need to acknowledge the presence of all the different archetypes in our souls. 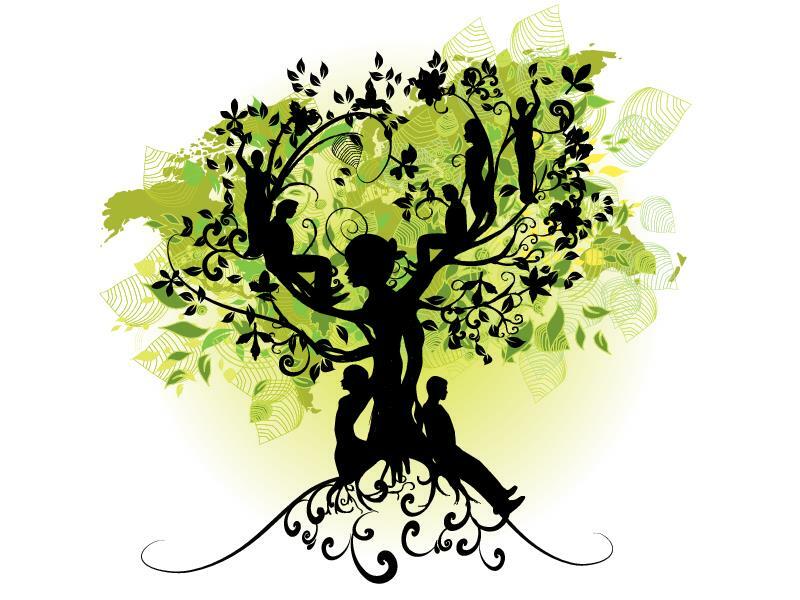 Archetypal spirituality offers us one of the ways we can continue this process of union by inclusion; of honoring the many archetypal manifestations of the divine that impact our lives. For if God is truly “Holy Being” then the wonder for the person of spirit is to see that “Being” manifest in such awe-inspiring and powerful dimensions from goddesses of love to the gods of war from the great father to our mother earth. As we find a place in our theology for the different archetypes they will surely find a right place in our lives. We too may be a little freer to celebrate the way the different archetypes of the divine are experienced and pictured by others. ← Spiritual but not religious – archetypal not dogmatic?